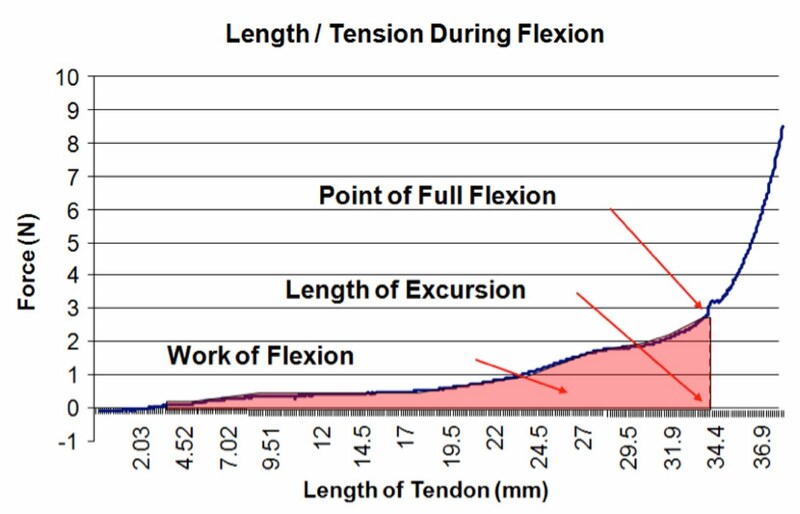 The flexor tendon pulleys (enforcement of tendon sheaths) are primarily responsible for ensuring that the flexor tendons of the fingers maintain a smooth gliding motion and a close proximity to the joint. This mechanical advantage improves the amount of flexion generated at a joint for a given amount of excursion. Hand surgery dogma has always advocated for repair or reconstruction of the pulleys to avoid the loss of function associated with the loss of a pulley. However, in some circumstances, pulley release has been advocated to assist with tendon exposure or tendon repair. Dr. Orrin Franko, a Resident Surgeon in the laboratory of Dr. Richard Lieber at Department of Orthopaedics, UC San Diego has challenged the prevailing belief that pulleys should not be sacrificed due to a significant increase in the work of flexon (WOF). In fact, release of the distal pulley after a tendon repair underneath the pulley significantly reduces the WOF compared the intact pulley condition, and only minimally increases the WOF from normal baseline values. These findings have direct clinical implications when pulley is likely to interfere with tendon gliding. This is particularly important when surgical manipulation of pulleys is used to change the moment arms in reconstructive tetraplegia hand surgery. 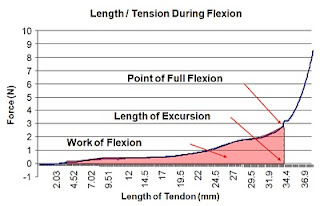 Figure demonstrates how force and WOF gradually increases with finger flexion.